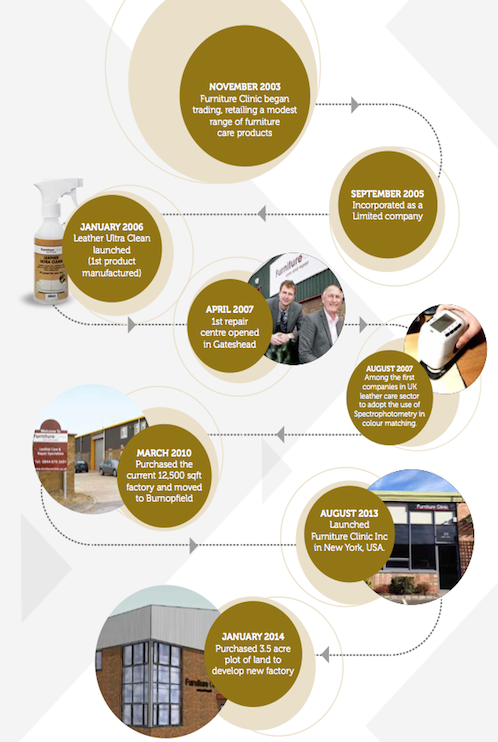 Furniture Clinic was founded in 2004, with its Head Quarters located in North East England. From here, Furniture Clinic manufacture a unique range of specialist Leather, Fabric and Wood products used in many industries including, Automotive, Clothing, Footwear, Furniture, Fashion and many more. 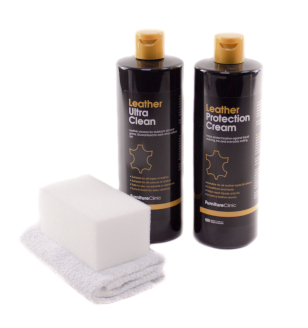 The product range initially comprised of cleaning and care products for leather and wood but has since expanded to include a full range of dyes, paints, ﬁllers, glues and many other specialist products used to repair and restore leather. 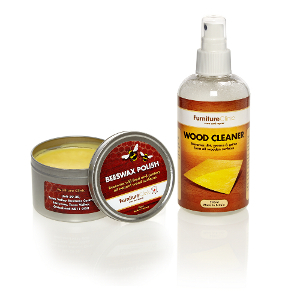 In recent years this range has expanded further to include fabric stain removers, odour removers, mattress protectors, fabric paints and an innovate range of hygienic products that kill bacteria such as MRSA, mould and e-coli. The company was originally established between father and son Keith & Ben Staerck, however Keith has since retired in January 2012 leaving his son Ben to take over as Managing Director.